A premium and reliable iptv service without having Ancloud p5 iptv box. Am happy to tell you that, Ancloud team has released a version of their homelive apk that is fully compatible with Android smartphones and other android Iptv media boxes. 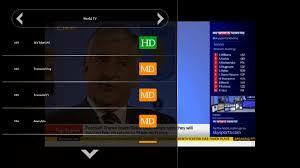 Homelive is an android app, that contains more than 400 premium channels including more than 36 dedicated sports channels, movies, news and some local channels. for example we have a few kenyan, portugese, Nigeria local channels on homelive. However, on inception of ancloud p5 media box, homelive was designed only to work seamlessly on ancloud boxes even though it can be installed on any other android devices. There used to be a conflict between homelivea apk and the iptv account on any other android other than ancloud. All these challenges has now been eradicated as ancloud team has now released a version of homelive that is fully compatible as a 3rd party apk on any other android apart from Ancloud. Homelive iptv account that will download and open almost 500 premium channels on your android devices is not free of charge. it is for sale!!. IPTV can come as free or premium package and the premium iptv package is the most stable,most convenient and most reliable means of watching paytv / premium channels. it is so convenient to the extent that it requires no antenna or dish. All you need is an iptv set-top box or a compatible iptv device. The only one constraint which affects only under developing counties of the world especially Africa… is “slow internet connection” and “high cost of internet subscription. IPTV can be used to get channels even when you are in a location where you cannot naturally receive the beam for such satellite. This new apk is 100% same as the preloaded homelive apk that is avaialble on Ancloud p5. This apk, opens same number of channels and it has the same quality pictures. The contents / programs is only accessible after purchasing the homelive premium account of either 1 months, 3 months, 6 months or 1 year. As it is with all iks account, the longer the duration, the cheaper the cost of the account. e.g if six months is $20, one year could be $30 or $35. Simple law of demand and supply. The high the quantity, the lower the price. all other things being equal. Highspeed internet that is very stable and must not be lower than 3g for sd channels and 3.75g for HD channels. the recommended is 4g network but if you cannot get a 4g network, you need a stable highspeed internet such as what etisalat and airtel offers in area where they cover. MTN and glo Nigeria too are very fast in some locations. As for the rest of the world, please simply use the fastest 3.75g network or a 4g LTE network in your area Second requirement is that you need a huge data bundle. the cheapest data subscription that there is,, use 4g by ntel, spectranet, swift or smile. for the overall cheapest 3.75g networks, use glo. Buy the homelive premium account through me or through anyone you know is selling it. The account is not very cheap in Nigeria because of the dollar rates. Generally, the account is not stupidly cheap anyways. Login with your username and password, you are good to go. Enjoy an uninterrupted viewing experience until your subscription expires.. the only thing that can interrupt you is your internet or expired homelive account.